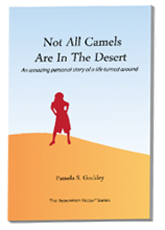 Pamela Gockley is an entrepreneur, author, speaker, trainer and coach. Her credentials include over 15 years of experience in Internet and business management, sales, consulting, training, and coaching. She is a specialist in keynote speaking and training in Internet marketing and online social media areas. Using what she has learned over those years, Pam has written books and articles on the subjects of Reputation Marketing, personal enrichment and career development. ATTENTION: All Freaks, Geeks, Nerds, Dorks, Queers, Sissies, Weirdos, Thugs, Horse-faces, Fuglies and Dummies. It Starts with You! This book is for everyone, young and old, who has been labeled and put in a box and is ready to bust out of that box and smash those labels. Learn how to build self-awareness and find your real, authentic self. Pam Gockley was an overweight drop-out, drug user and undiagnosed dyslexic who experienced bullying, namecalling and more while growing up in a small Pennsylvania town with a non-supportive school system. Pam now shares how raised in poverty in a broken home by a loving mother, she overcame it all to achieve her goals as a successful entrepreneur, business-owner, and author. Start today on the road to self-discovery to become "Unleashed, Unfazed, and Unscripted." ....Today, the modern holistic inclusive approach is, Customer Service, flowing into Sales when it is proven creditable, then lastly Marketing. The Reputation philosophy is nimble and builds on itself. It changes with the customers’ needs, and builds on itself without having to start over from scratch. We focus on Customer Service, Sales, and Marketing because these areas have a direct impact and connection with customers. 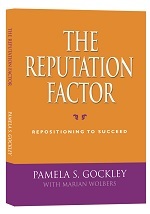 Published in 2012, Pam's first book, The Reputation Factor, debunks the myth that reputation is a side effect of marketing, that it gets set in stone, or that it just “happens” over time, all by itself, as a result of outside forces. With the myriad of communication and marketing tools we have at our disposal, it’s tempting to spend inordinate amounts of time relying on image and outreach to establish attractiveness, until finally, when sales fall or stay flat, or job interviews yield a discouraging pattern of rejection after rejection, we are back where we started, standing still, or worse—unable to deliver on promises. In The Guide to Job Search Success Pam breaks the job search into easy-to-follow steps, and teaches you specific actions you can take to get that dream job, including how to tell when its time for you to leave your current position and move on. It even has a section on self-employment and whether it is right for you. The Guide is available now for the Kindle. Click on the cover to order now or read an excerpt.